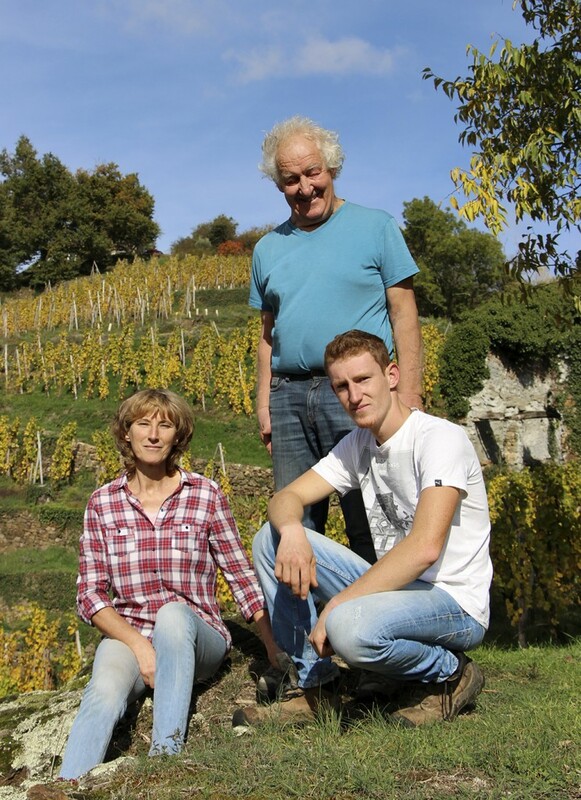 Le Clos de la Bonnette is a small vineyard with a far from banal history. Since the time of the Romans, who knows maybe even before, it has existed on the hillside in the heart of Condrieu. For many centuries men and women built up terraces on the steep slopes, securing them with dry stone walls, using stones they dug out of the hillside with a mattock. History hewed out of the rock, marked by the sun of the South and the West, a story of hard work, heat and thirst. The vineyard has known prosperous times, there was no lack of devotion to the task. The terraces were well-maintained, revealing beautiful landscapes, nestling above a small valley and looking over the river Rhône. The vineyard has always been closely linked to the river, its force has formed its slopes, its mists, and its winds. From the antique sailing-barges to the modern canal-boats,this great “carrier”, so dear to the French poet Frederic Mistral, is the bond between the vineyards and the rest of the world. Between happy times and dark periods, the vineyard has made its own legend of revivals and neglect. Today a new page is being written, with the care and the energy of a couple who have chosen to regain it from the overgrowth and oblivion, whilst never resorting to easy methods. The vineyard tells its own story of how the vine-plants, supported by chestnut stakes to protect them from the force of the wind, wrestle against the harshness of scorching summers by driving their roots deep into the granite. It is also the story of the venture of peasant-farmer wine-growers with the land, an adventure of devotion and of grapes, of land-slides and brambles, of enthusiasm, of lives lived in desperate straits, of kindness and friendships. >It tells us that there is no great landscape without continual hard work, no great wine without great landscape. It’s always a pleasure to show our visitors our vineyard and to make them taste our wines. Regardless the day and time, provided you contact us some time before your visit to make sure we will be there. 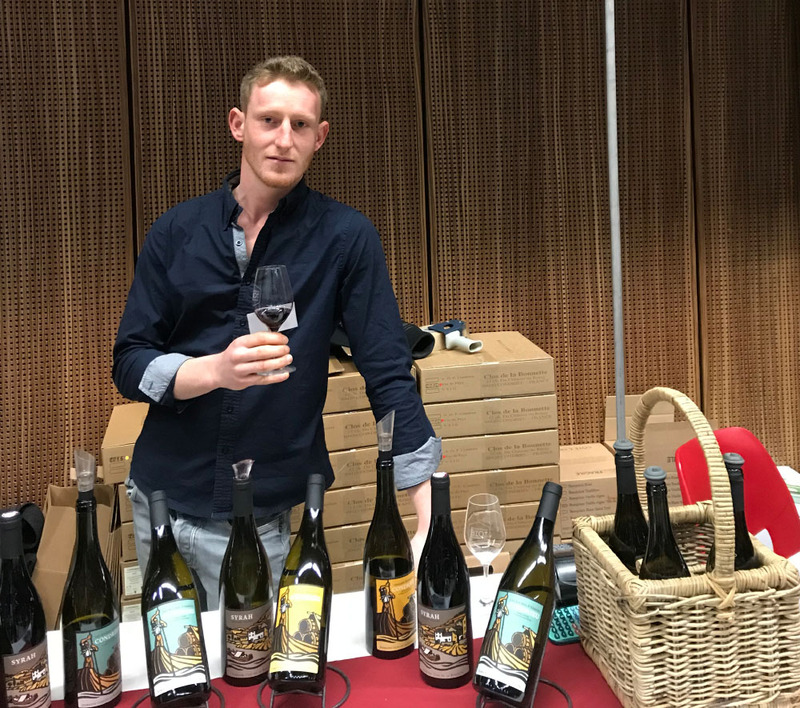 Antoine Montabonnet, winegrower in Condrieu.